Myra Wiggins was born in Salem, Oregon, in 1869. She moved to New York where she studied at the Art Students League. Using her daughter as a model, Wiggins pioneered what became known as Dutch Genre photography. 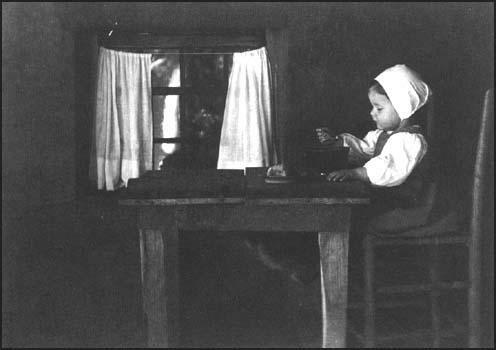 In 1902 Wiggins joined with Alfred Stieglitz, Edward Steichen, Clarence White, Gertrude Kasebier and Alvin Longdon Coburn, to form the Photo-Succession Group. Her photographs and articles were published in American Amateur Photographer, Camera Notes and Photo-American. Wiggins also published Letters from a Pilgrim, a photographically illustrated description of her journey to the Middle East. Myra Wiggins died in Seattle in 1956.